The Magnani atelier was born in Tuscany in 1948, in a territory with a deeply rooted textile tradition, particularly in the fashion industry. For more than 4 years, Magnani's wedding dresses immediately become expression of quality and design of Made in Italy style. The stylistic studio, always attentive to trends and fashion changes, has always adopted a precise way of working in the respect of tradition and consolidated over time. 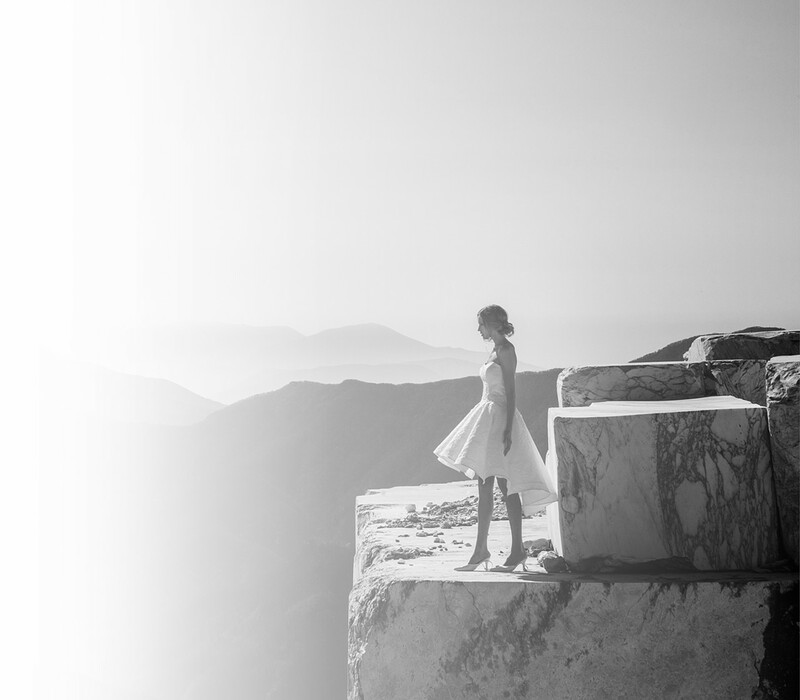 The structure is made up of expert tailors and modelers; A blend of skills and ideas, where wedding dress fashion is constantly reinvented and adapted to contemporary tastes. A search continues in the renewal of design, keeping the identity and style unchanged. 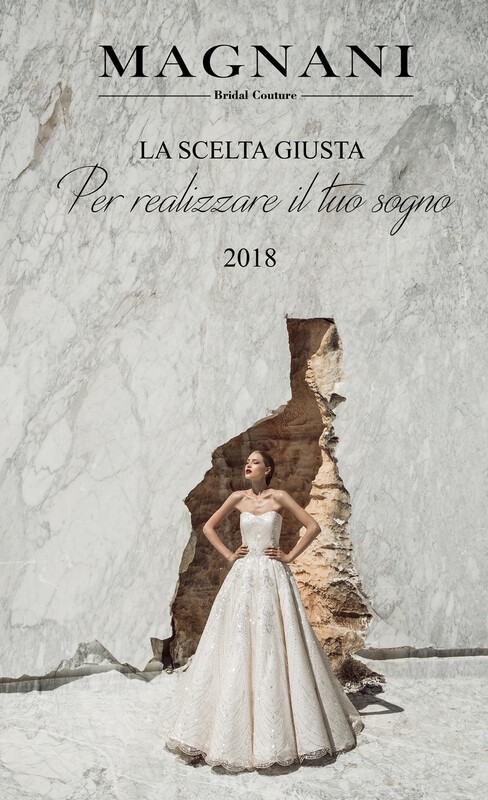 Magnani Sposa proposes various lines, always attentive to the different needs of the customers, however oriented to a continuous development, focused on the manual craftsmanship typical of the wedding dresses made in ltaly. An organization that grows over an area of 2,000 square feet, creating an uninterrupted stream of wedding dresses and high fashion, which are distributed in the ateliers of all over Italy and in the world, contributing to the diffusion and affirmation Of the true "Made in Italy". Thanks to the creativity, passion and experience gained over the years, quality and service are the value and the signs that distinguish the Magnani's signed wedding dresses. "Thanks to years of work and an unwavering confidence in the possibilities of the most authentic "made in Italy", the Magnani family has achieved its dream. Today is very happy to help you realize yours". Every day our commitment and our team are dedicated to creating dream clothes that emphasize the elegance and beauty of the woman, accompanying her on the most important day of her life. Dress them for the day of their marriage means living it with them, accompanying every woman in the big step. For this we define our extremely rewarding work, regardless of geographical location, from the west to the far east, we are attentive to every request by taking care of every detail of their dress; For us every bride is unique in its kind. A completely crafty and meticulous work that combines the tailor-made tradition with cutting-edge techniques, a personalized job system that from years allows us to distinguish ourselves in the bridal sector. Every year a team of professionals from the sector, expertly guided by the designer Franca Semplici, designs and produces more than 300 different models of wedding dresses, ceremonial dresses and coordinated accessories. All this, coupled with a great professionalism and the guarantee of made in Italy, has made Magnani's wedding dress collections famous all over Italy and Europe. The attention to detail, the constant quest for fine fabrics, transform into style, the Magnani style, expressing a concert of elegance and design of high prestige aesthetics.